Sinn Féin Councillor, Jonathan O’Brien, has slammed the decision at last night’s Cork City Council meeting to give €8.25million to a private developer to build a conference centre in the Docklands area. The debate on the issue took place behind closed doors with the press and public excluded. During the debate it was argued that this was the one way in which Cork would be able to obtain a world class conference. However Sinn Féin and four other Councillors (one Green, one Socialist, one Labour and one Fianna Fáil) voted against the motion. Background In 1998 Cork city Council presented O’Callaghan Properties with public land at a subsidised rate in Mahon on the understanding that a Conference Centre would be built there for the City as part of that development. This did not materialise and instead the council accepted compensation of €6 million from O’Callaghan Properties. 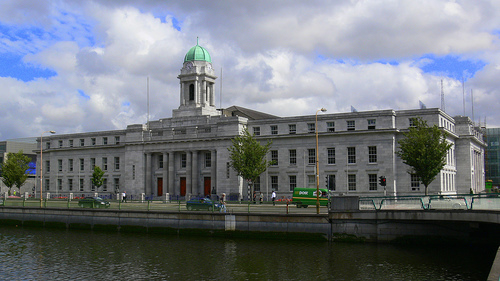 More recently the Council agreed to invite tenders from private developers to build a Conference Centre in Cork City Centre. The tender accepted by the Council last night was that submitted by Howard Holdings for a combined development in the Docklands area.